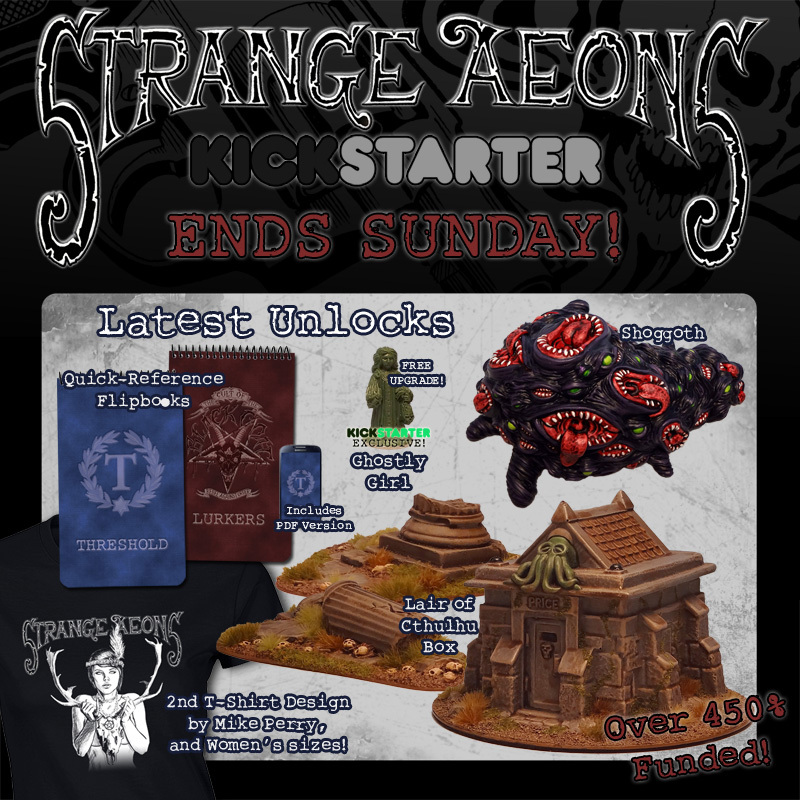 Uncle Mike's Worldwide is in their final couple days for their Strange Aeons Kickstarter campaign. They're over 400% funded, so be sure to check out all the stretch goals and extras that've been added. The Kickstarter campaign for Strange Aeons: 2nd Edition wraps up on Sunday. We've already exceeded 450% of our funding goal, and hope to see several more stretch goals fall before all is said and done. Don't miss your chance to get in on the madness!